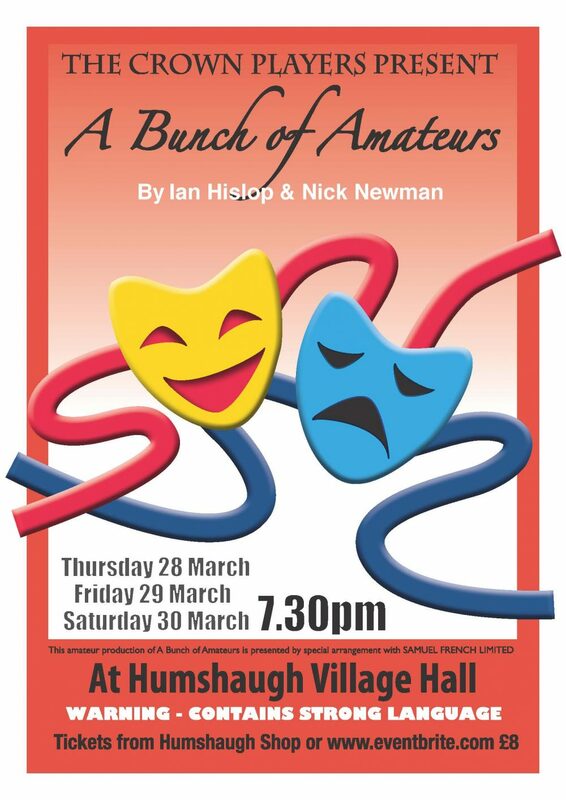 Tickets are on sale in the shop for the Crown Players latest production – “A Bunch of Amateurs”. There are 3 shows at 7.30pm on Thursday, Friday and Saturday the 28th, 29th and 30th of March. Tickets cost £8. If you can’t get to the shop, tickets are also available online via www.eventbrite.com .